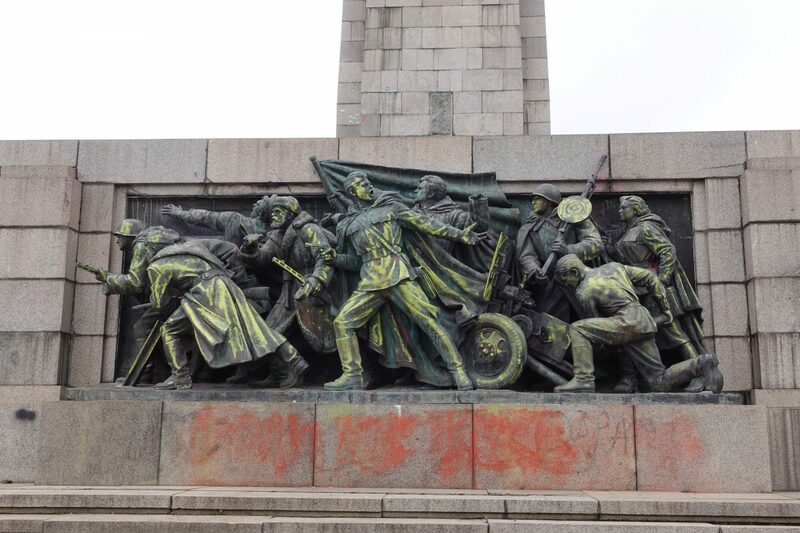 This post is going to be all about things to do in Sofia! This was my first time visiting Sofia, Bulgaria’s largest city, and capital. Sofia is home to around 1.7 million people which compares to Vienna’s population of around 1.8 million. The city is located at the foot of Vitosha Mountain, and it’s worth mentioning that Sofia is one of the top 10 best places for (tech) start-ups. We ended up staying for eight days and ended up staying in one of Sofia’s hippest areas, the Sredets neighborhood. We were surrounded by health food stores and nut shops, and I absolutely loved it. Whenever I go places I like to throw in a good mix of vegan restaurants, health food stores, hiking, and of course, history. I am not one to go from museum to museums and typically find myself browsing through local markets, hunting down grocery stores and planning hikes. I absolutely loved Sofia and everything the city has to offer. It’s such a wonderful city! Zoya is a natural skincare paradise. I wrote a whole post dedicated to this gem because I am in love with their selection. They have a huge variety of carrier oils, essential oils, body butter, soaps, herbs and so much more. 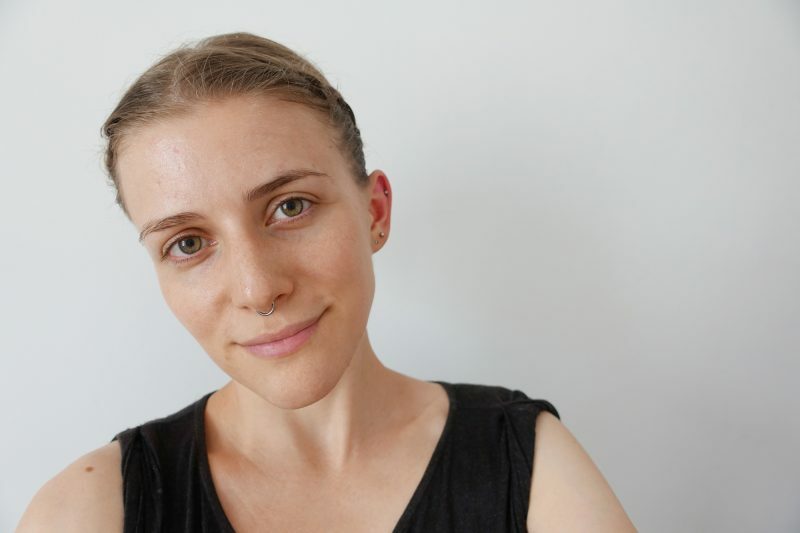 If you are a lover of buying skin care products in bulk, if you enjoy making your own skincare products and if you happen to favor natural & organic products over products laden with toxic chemicals, then Zoya is your place. 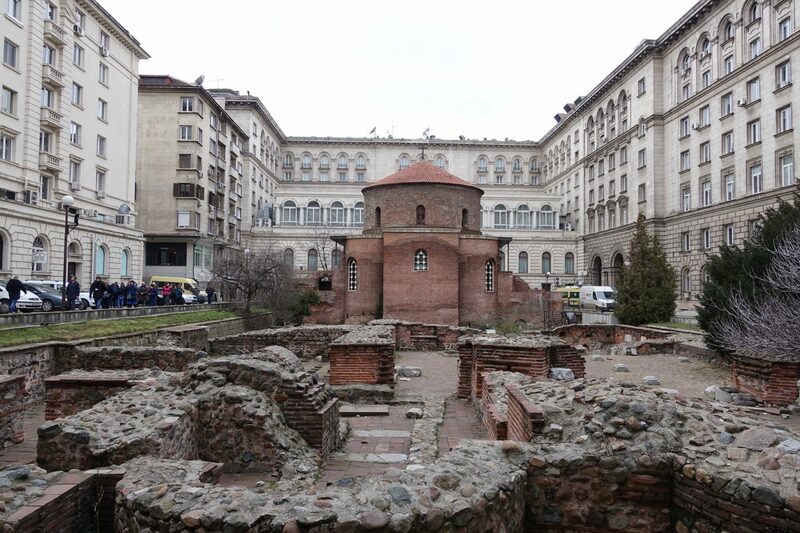 The red brick church of Rutanda of St. George is considered the oldest building in Sofia, Bulgaria. The church is situated behind a hotel and surrounded by apartment buildings. It underwent major construction for 70 years and was reopened to the public back in 1998. 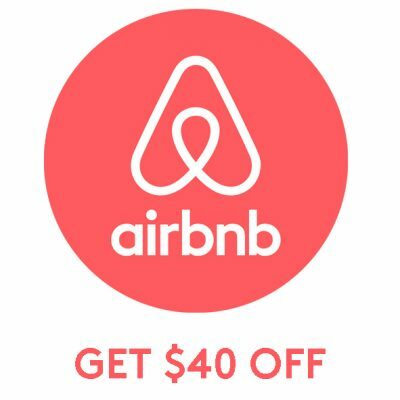 I think it’s a beautiful site to visit and explore and highly recommend checking it out! The Sredets neighborhood is known as one of Sofia’s hippest areas and a lovely place to explore. This neighborhood is full of health food stores, bulk stores, and sweet restaurants and bars. If you enjoy healthy food and shopping in bulk then make sure to stroll around Sredets. My favorite place is definitely the Nut store on ul. “Graf Ignatiev” 68. They have a huge variety of nuts, seeds, grains, dried fruit and heaps more. Browsing Sofia’s bulk stores were actually one of my favorite things to do in Sofia. 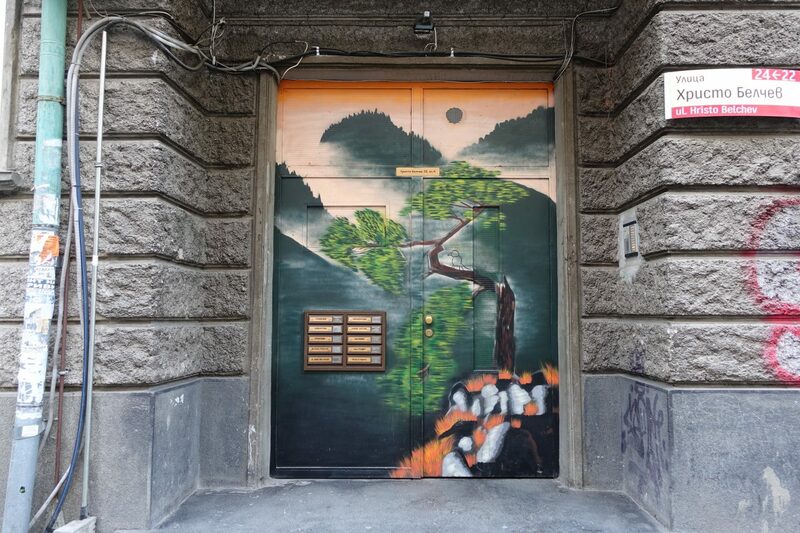 Wherever I went in Sofia, there was street art – there is street art on electrical boxes, doors, walls – everywhere. As you may know, I am a lover of street art and marveled at vegan street art in Belgrade, was surprised to see Mostar’s huge street art scene, and couldn’t get enough of Tirana’s colorful buildings and painted electrical boxes. While there is of course quite a bit of not-so-pleasant-street art, Sofia has a decent amount of absolutely epic pieces. After passing by quite a few thrift stores a quick google search revealed that there is actually a decent amount of thrift stores in Sofia. I checked out Yasiprettytex on bul. “Lomsko Shose” 246, which stocks primarily current fast fashion brands and was surprised by their inventory and quality. It’s a really well-kept store with a huge selection of clothing. 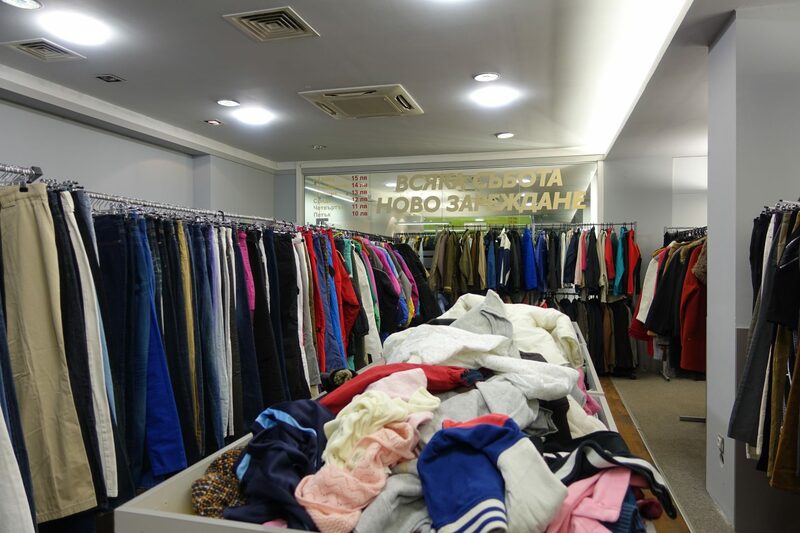 If you are in need of something, make sure to check out some of Sofia’s thrift stores. There are a handful of markets in Sofia including Zenski Pazar (also commonly referred to as Ladies Market) and the Central market hall. 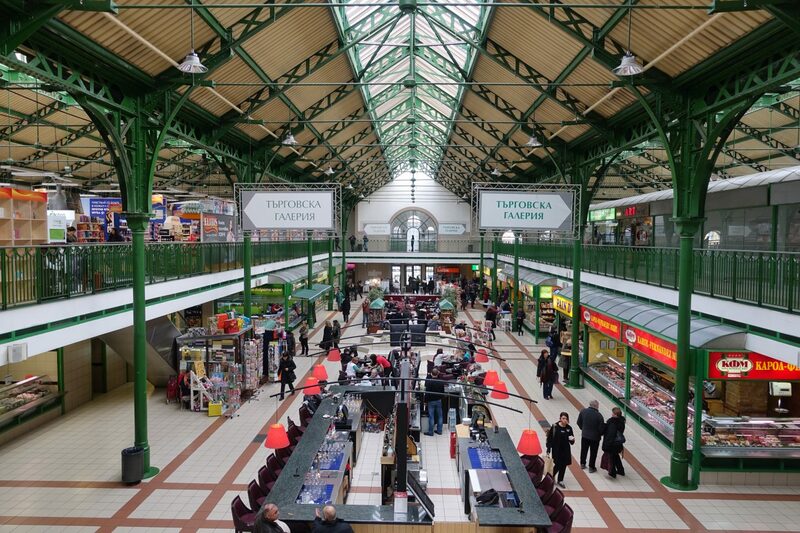 The Central Market Hall is the oldest covered market in the city and while there are hardly any stores selling fruit and vegetables it’s still a great place to check out. If you are in need of fresh fruit and vegetables then Zenski Pazar is your place. 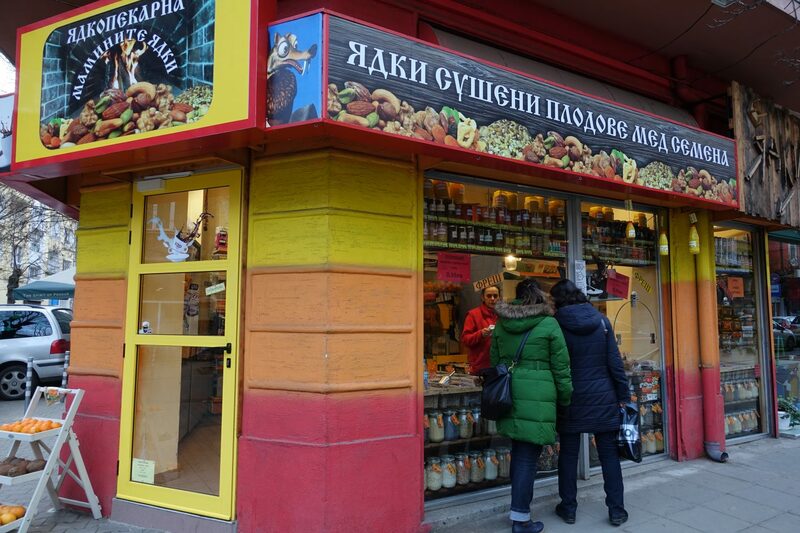 At Zenski Pazar you find dried goods, fruit, vegetables and household goods. Vitosha mountain can be reached easily via public transport and makes for the perfect day trip. Take the M1 to its last stop, Vitosha, and catch the 64 bus to Boyana Village. At Boyana Village you simply walk around 5 minutes to the base of the trail and can start hiking. It’s about 45 minutes to Boyana Lake and 1 hour and 45 minutes to Boyana Waterfall. 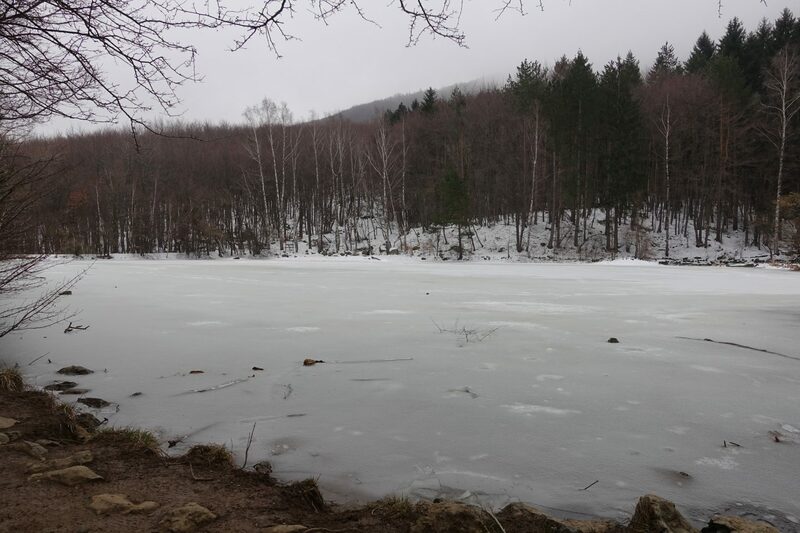 We explored Vitosha mountain at the end of February and the lake was still frozen and the paths leading up to it were covered in snow. 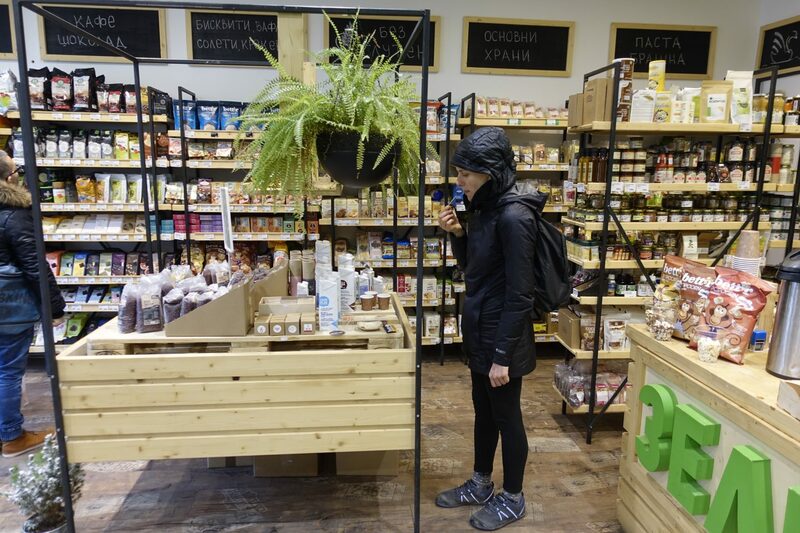 There are heaps of health foods stores all over Sofia, and the most seem to be in and around the Sredets neighborhood. 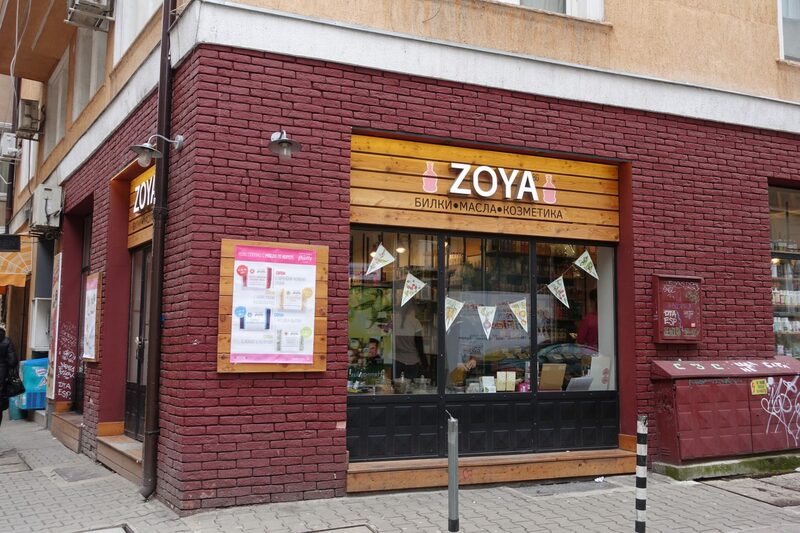 My favorite one is Zoya – they have heaps of bars, a handful of foods in bulk, vegan specialty items, and (vegan) cosmetics. The apartment on ul. 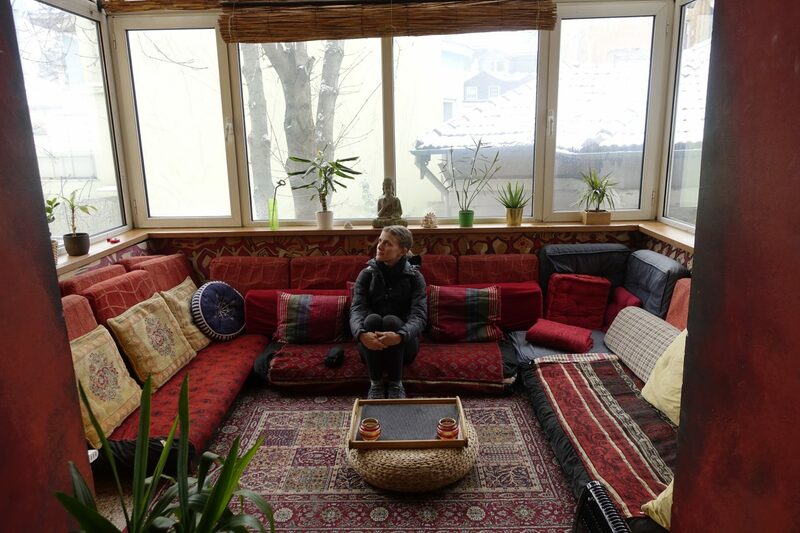 “Neofit Rilski” 68 is one of the quirkiest cafes I’ve ever been to. The apartment consists of two gigantic apartments and every single room has a different vibe. Their color schemes vary and so does the seating. In one of the rooms is the kitchen where you can order tea, coffee, sweets, and food. While I found the food to be overpriced (4 BGN for a cookie), the atmosphere was lovely and I highly recommend checking it out. This was my post about 10 things to do in Sofia. 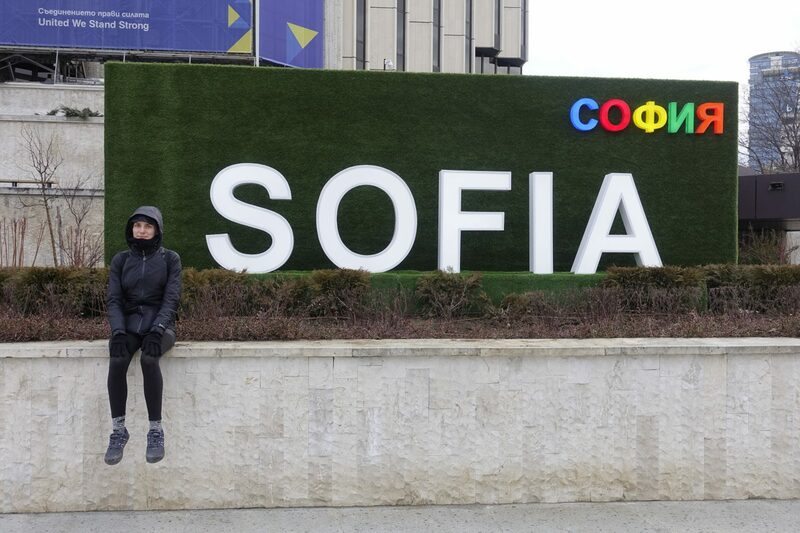 I had a truly wonderful time in Sofa, Bulgaria and greatly enjoyed my stay. I will definitely be back and plan on exploring the city in the spring/summer next time around. There are so many awesome day trips from Sofia, that I can’t wait to check out! What are your favorite places and things to do in Sofia?